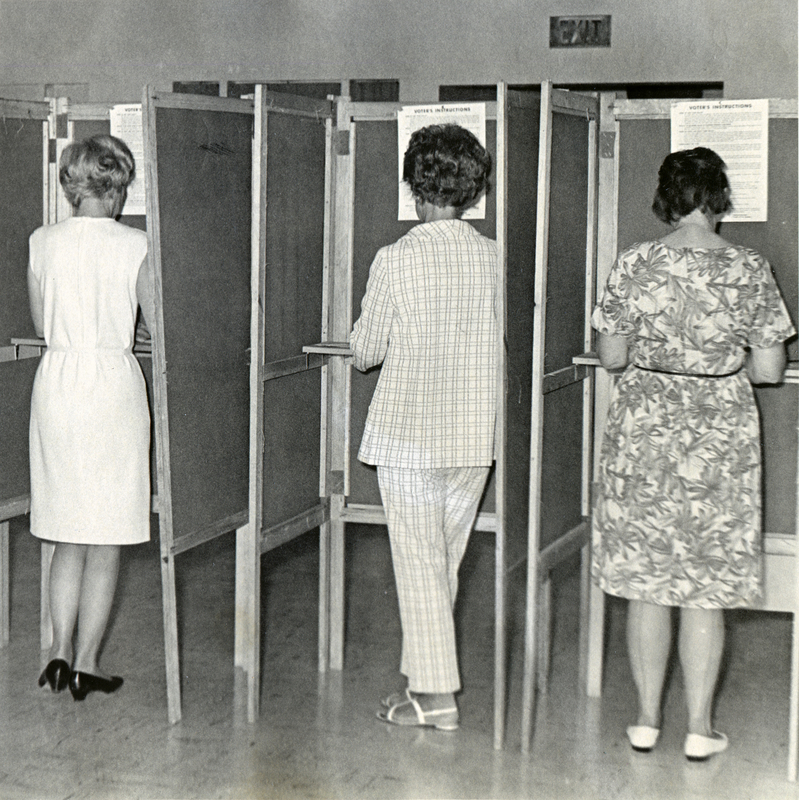 Recall, SCV Style: Voters oust incumbents Curtis Huntsinger and Edward Duarte from the William S. Hart Union High School District board on Sept. 15, 1970. Sparking the recall movement was Huntsinger's reversal of Superintendent C.T. Haan's decision to let students circulate an anti-Vietnam War petition on their own time. By election day, the conservative board had fired its more liberal superintendent. Replacement candidates Carroll Word and Thomas Hanson captured large majorities. Unification plans may have hurt the incumbents, as well. Three times in the 1960s — in 1960, 1965 and 1967 — the Hart School Board pursued plans to unify the Santa Clarita Valley into a single K-12 school district. Voters soundly rejected it each time. The Huntsinger family owned a properous turkey ranch near Acton; Curtis' brother, Peter Huntsinger, served on the board of College of the Canyons. Duarte owned Thrify Shopper, a small, independent grocery on Soledad Canyon Road in the middle of Canyon Country's main business corridor. SG091570: 2400 dpi jpeg from original print.